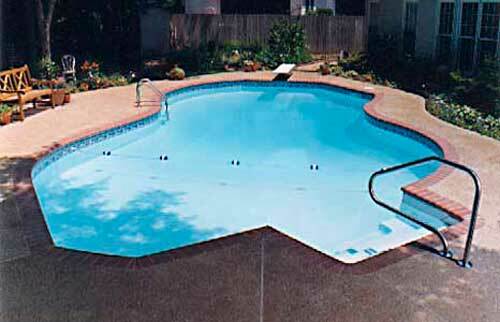 JC Pools uses only the best quality galvanized steel wall / vinyl liner pools to offer the widest selection of designs while offering the most affordable inground pool that we build. 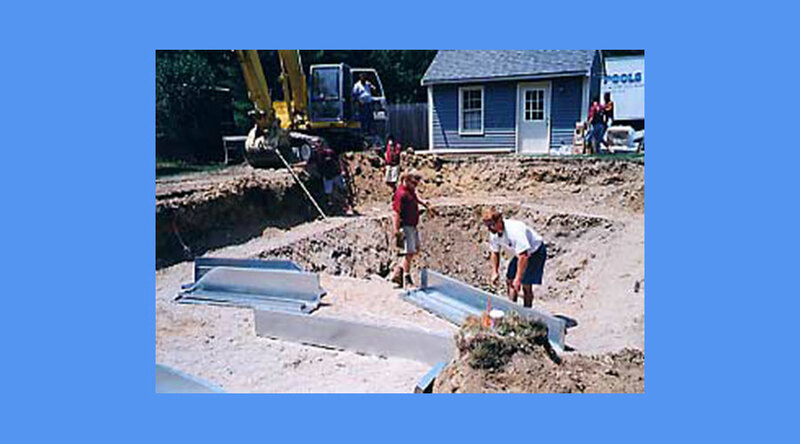 With our sources and our professional experience of building literally thousands of pools in New England, we have the flexibility of gunite pool construction to design and build practically any shape and size that is customized for your particular backyard space and for the way that you will use your pool. 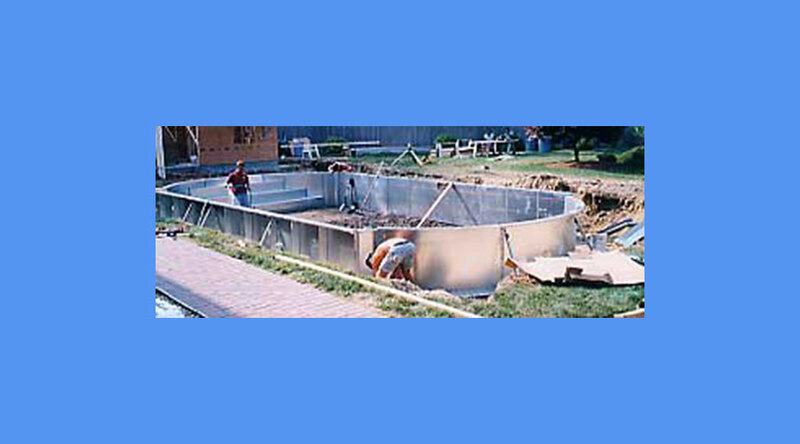 All hopper design pools receive dual main drains for safety that are set in concrete at the bottom of the deep end. 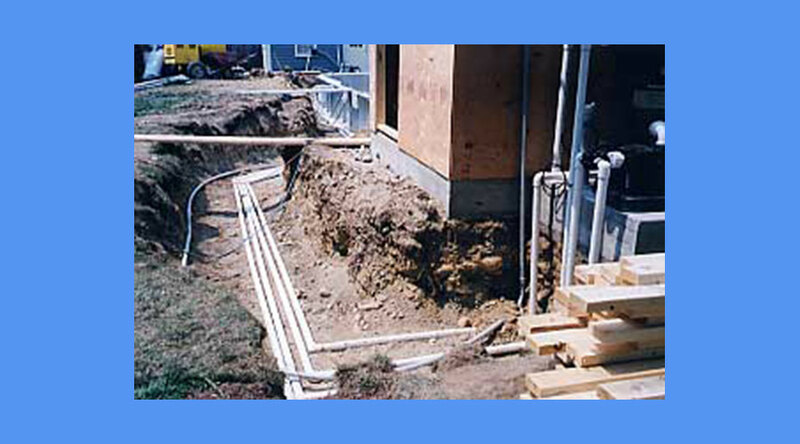 We use all rigid PVC pipe because we know it to be the most trouble free and insect resistant of all the pool plumbing options. 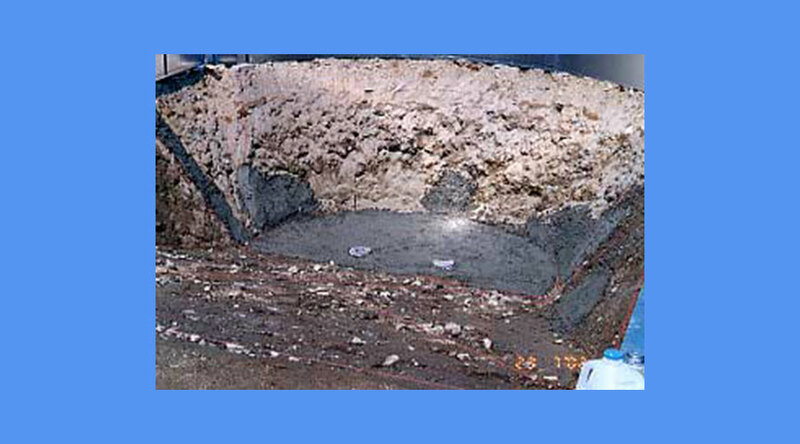 We also pour a solid equipment pad to preserve the integrity of your plumbing and protect it against any shifting during the freeze-thaw cycle of New England winters. 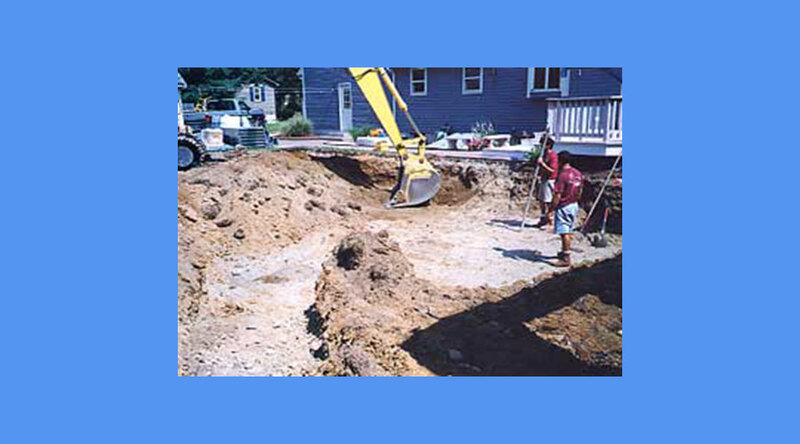 Once the pool location is determined, we dig the hole fairly close to the finished dimensions we need. Here the wall shelf and hopper have been dug and we are just starting to assemble the steel stair components. This photo shows all the galvanized steel walls and stairs assembled and leveled. 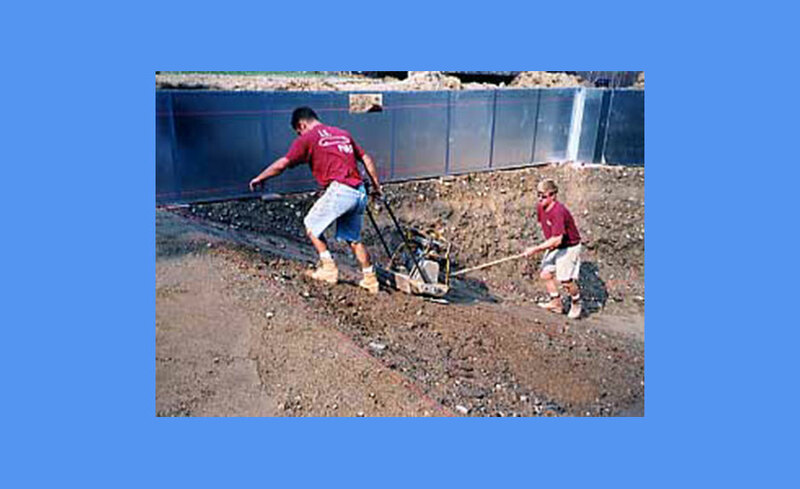 We use a machine compactor to thoroughly tamp the slope and floor areas. 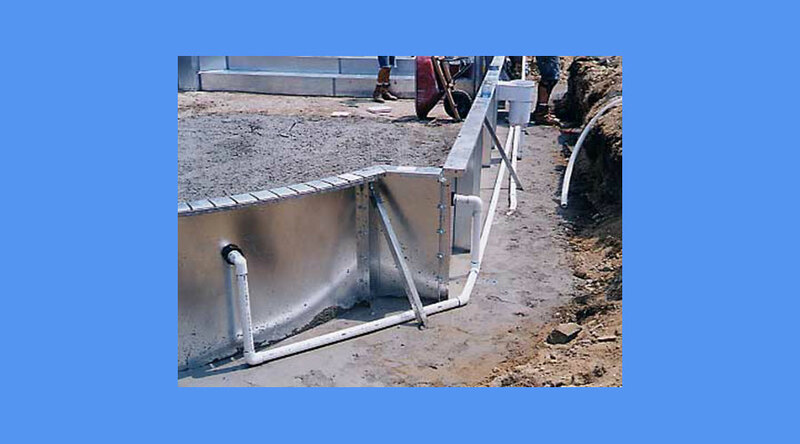 This provides a stable base for our vermiculite/concrete bottom. We use two main drains to provide dual suction on hopper pools. And we set them in a solid concrete floor at the bottom of the hopper. Detail of plumbing lying on top of the smooth concrete bond beam. 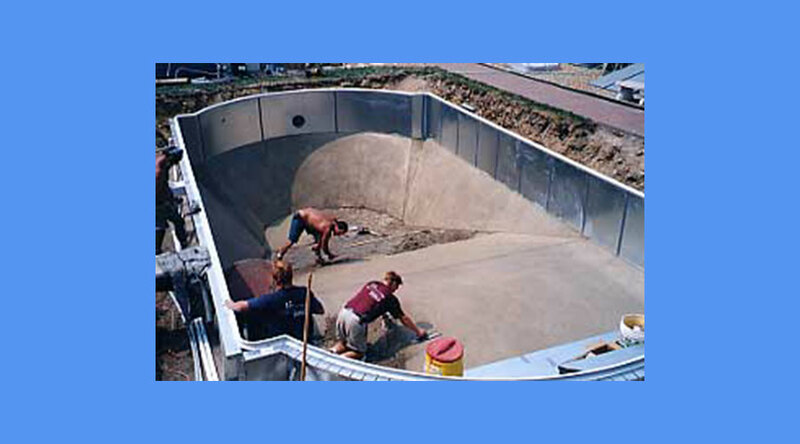 We plumb all our in-ground pools with the best materials and with time-proven techniques. It takes some extra effort, but it's worth it. White receptor coping is installed on top of the steel walls and troweling of the concrete/vermiculite bottom is nearly complete. 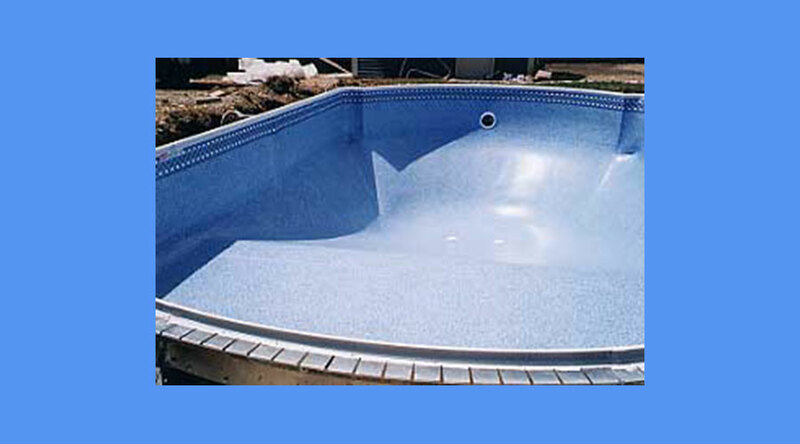 We take the extra time to use all rigid PVC plumbing because our experience has shown us it's the most durable, trouble-free, insect resistant material available for pool plumbing. 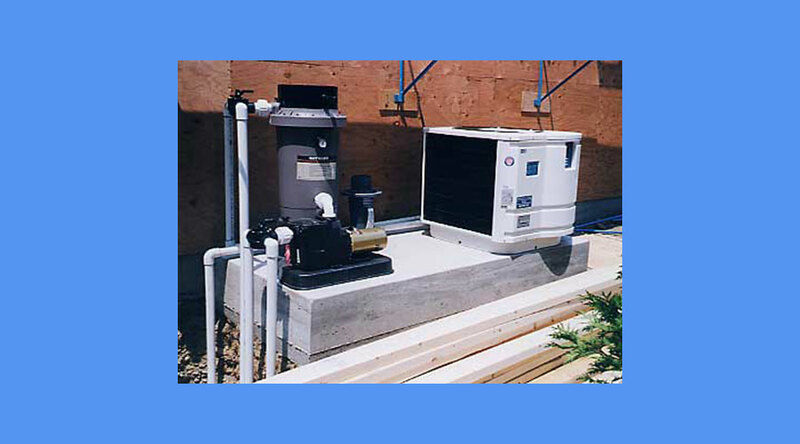 We provide a substantial concrete pad for equipment, both on our steel wall and concrete wall pools, to prevent any movement or shifting and to ensure the integrity of the plumbing through the winter heave and thaw. 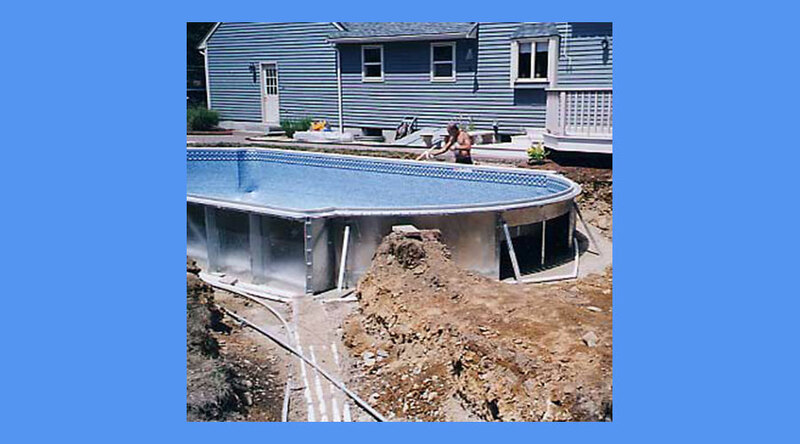 With it's liner drawn tightly by vacuum, the concrete bond beam set and plumbing completed, this pool is ready for water and backfilling. Another view of the pool ready for water and backfilling.